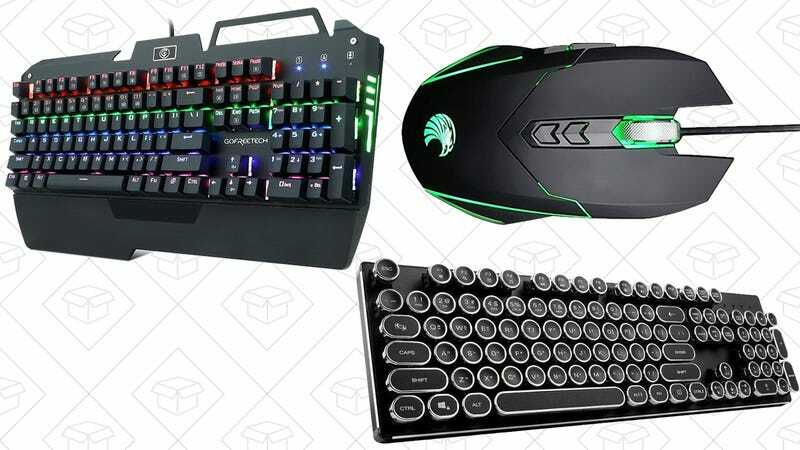 Amazon wants to update your gaming hardware with a sale on mechanical keyboards and mouse, today only. 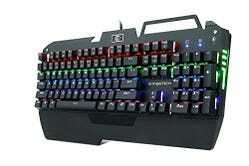 First, grab a multicolor backlit, Cherry Green equivalent mechanical keyboard for just $53 that comes with spare switches, a keycap puller, and in-game lighting settings. 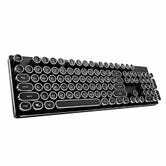 Or, If you’ve ever played around on a vintage typewriter and wondered why they stop making circular keys, you can enjoy the same feel in a mechanical keyboard for $85 today. 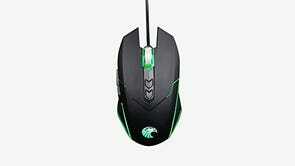 Round out your arsenal with a gaming mouse for just $17.